Is anyone else pretty underwhelmed by the new list? More unaffordable Burgundy etc and (no doubt good value) cheapies. Even the section that usually comes up with some gems (Small Wonders) looks pretty conservative. All the reds and all but a couple of the whites are “classic” grapes, And the sole outlier? Sogrape?! Nestled between Burgundy and Bordeaux EP its bound to be a quiet one. Is it me or is practically everything released in dozens? Makes it much more difficult to set some aside. Is this deliberate? NOOOOOOO…!!! How can I resist??! So… I particularly enjoy the light / perfumed / ethereal style of BJL. Which bottles would you point me towards? A wine to drink with a green salad, new potatoes and the best ham / charcuterie Yorkshire can provide. Sounds good to me! In which case I’d avoid Beauregard and Clos de la Roilette as they are altogether chunkier styles by and large. 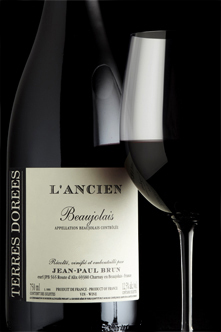 Ripe and juicy, this is lovely Beaujolais from a top producer with vines in the famous 'Pierres Dorées' of southern Beaujolais, so called because of the golden-ochre stone used in local construction. 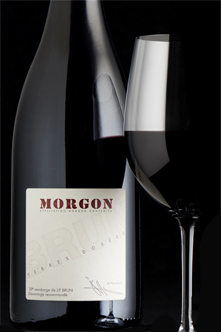 Brilliant, many thanks for the suggestions - the Morgon in particular looks enticing. As always for BJL, prices are very fair. Sigh… my April austerity program seems to be adrift. I also got the email yesterday, but bought some Rauzan Segla 2002 (now sold out) after they flagged it in a hard copy mailshot about three weeks ago - not sure why you didn’t get that. 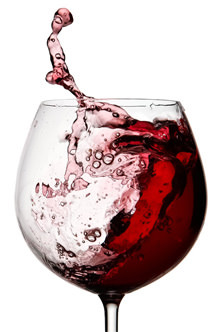 One other offer that came out, which I snapped up, was for Once and Future Zinfandel. I really love the Ridge Zinfandels so I put two each of the three Once and Future wines into reserves (along with some Cote Rotie and Hermitage) and bought a ticket for the Once and Future winemaker dinner. Did anyone else get the Once and Future email? I got some Once and Future Zin when it was offered last year (Oakley Vineyard), also had it and it was great. Incidentally the winemaker, Joel Peterson, recently featured on the ‘I’ll drink to that’ webcast. I’ve just read that on the official Chateau Thivin website that their wines have small amounts of Chardonnay in them along with the normal Gamay majority! I didn’t know that! Aaarrrgghh it’s come in the post and SUCH NICE THINGS I want to full my place with Beaujolais and a fair number from the Fine Wine List. I’m off to the US tomorrow and have kept some space for a couple of bottles. I’ll be doing some comparisons though as last time I bought some that would have been cheaper to buy over here! Yes, indeed! Worth double checking. Are you off to California? And have you settled on an English fizz to take with you? After the order I’ve just placed I don’t dare place any more. Not counting Rhone EP that’s three orders I’ve placed during the 3 months I’ve been out here, where I can’t even admire the bottles!